Press Release: The Illinois Department of Employment Security (IDES) will host a career exploration event with representatives from the Illinois Department of Children and Family Services (DCFS) and the Illinois Department of Human Services (DHS) for all job-seekers. 1. 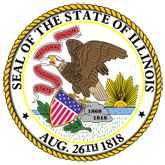 Illinois Department of Employment Security Hosts Career Exploration with State Agencies Event (16-0475-IDES_Media_Advisory_.pdf).